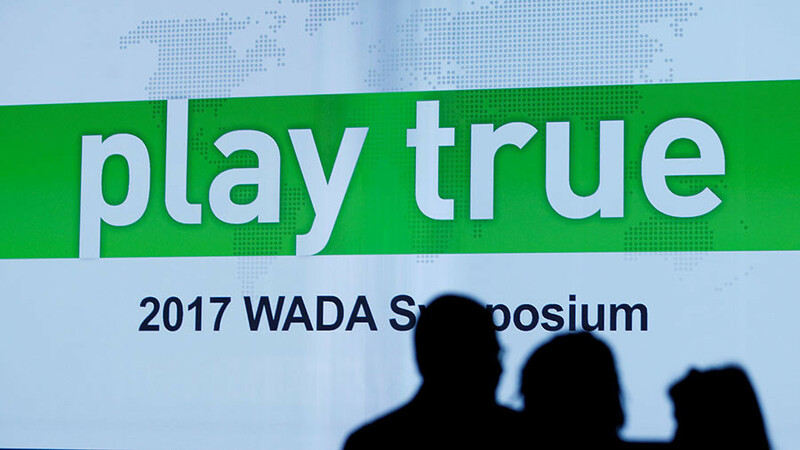 “One can believe that every Canadian athlete is ‘clear’ and sports officials are incorruptible as WADA office is located nearby, but it is far from the reality,” Fancy Bears wrote to introduce correspondence between the Canadian Olympic Committee (COC) and the Canadian Centre for Ethics in Sport (CCES), in which Barber’s doping case was discussed. 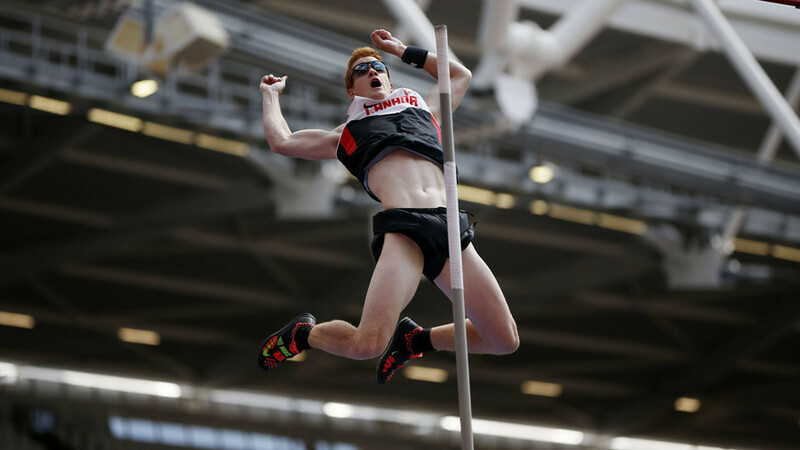 In 2016, then-world pole vault champion Barber managed to avoid a two-year ban for cocaine, after attributing the presence of the drug in his doping probe to a woman whom he had kissed the night before the trials. 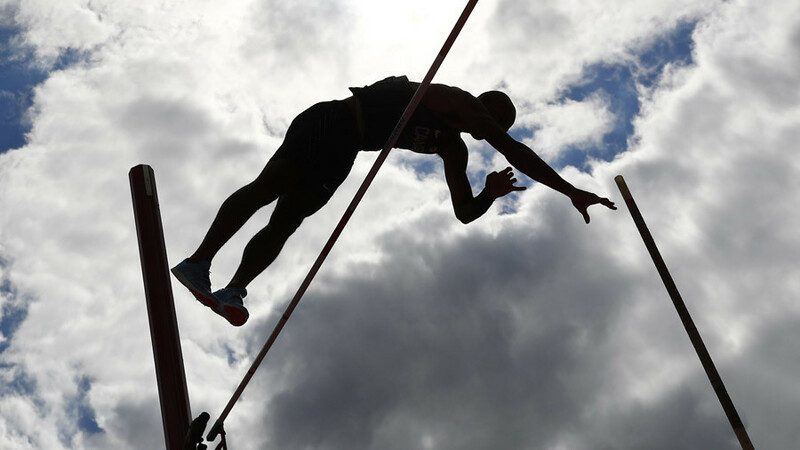 An independent arbitrator accepted his explanation and found no guilt in his actions, allowing the athlete to participate in the summer Olympics. 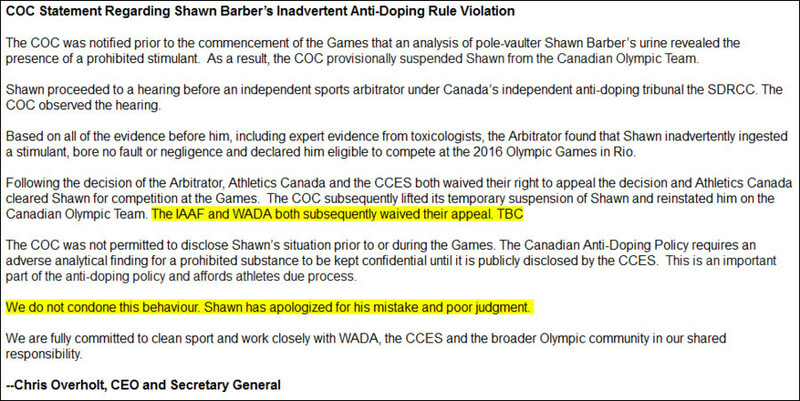 “Based on all of the evidence before him, including expert evidence from toxicologists, the Arbitrator found that Shawn inadvertently ingested a stimulant, bore nor fault or negligence and declared him eligible to compete at the 2016 Olympic Games in Rio,” the Canadian Olympic Committee (COC) said in a statement when Barber’s doping case became publicly known. “The COC was not permitted to disclose Shawn’s situation prior to or during the Games. 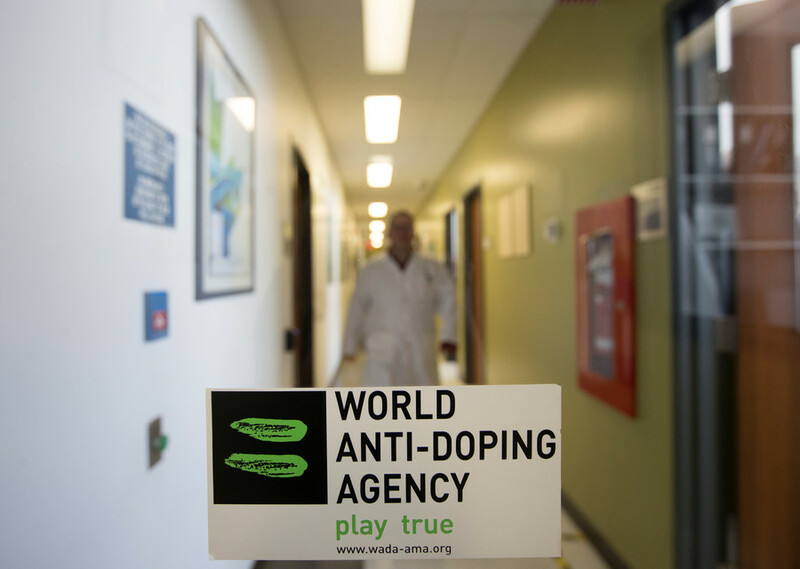 The Canadian Anti-Doping Policy requires an adverse analytical finding for a prohibited substance to be kept confidential until it is publicly disclosed by the CCES. This is an important part of the anti-doping policy and affords athletes due process,” the COC said, explaining its decision not to disclose details of the doping incident before the Games. IOC President Thomas Bach condemned such an approach when dealing with doping violations, calling Barber’s case “an example of state involvement.” The IOC’s tough stance on the issue sparked fears among Canadian sports officials, who were suspected of pursuing their national interests, while approving Barber for the Olympics. 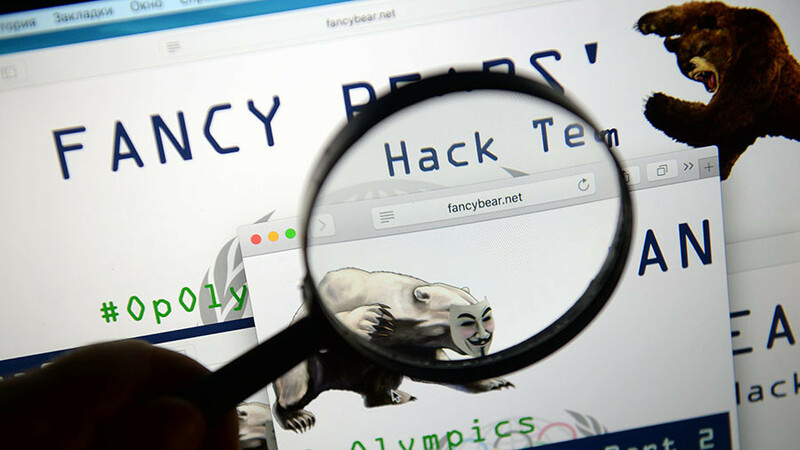 In a letter obtained by Fancy Bears, the CCES President and CEO Paul Melia asked COC President Tricia Smith to provide him with information that might be useful in “defending integrity and independence of our [Canadian] system” in the Barber case. This is not the only case of an athlete being accused of doping and later being cleared of all charges after presenting the same excuse. 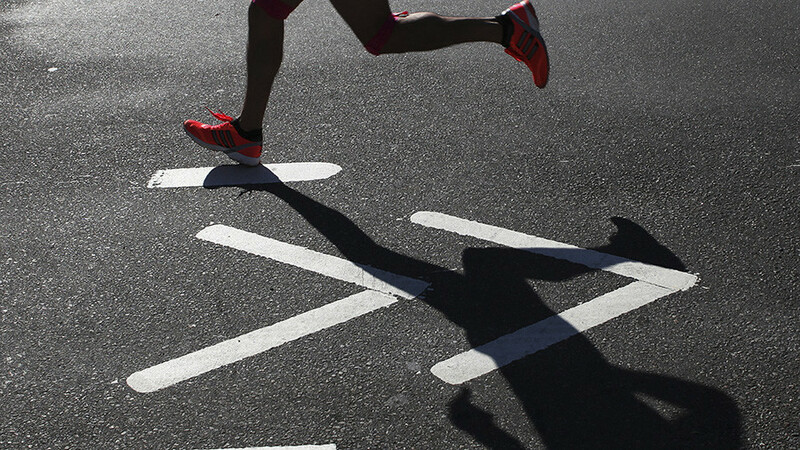 Last week, US Olympic champion runner Gil Roberts was declared clean after the New York Court of Appeals ruled that he failed a drug test last year because he passionately kissed his girlfriend, who was taking antibiotics. In 2009, French tennis player Richard Gasquet proved that traces of cocaine found in his probe had been transmitted by a woman he kissed before participating in a tournament.